For the past twenty years, I have been photographing the landscapes of Illinois to explore how we experience a place and the way it structures our thoughts and sense of belonging. Whether utilizing a panoramic format, a sequence of related images, or landscapes that also include the female human presence, my work also seeks to reference and expand upon the traditions of landscape art, from Chinese scroll paintings, documentary photographs of landscapes, to botanical drawings. 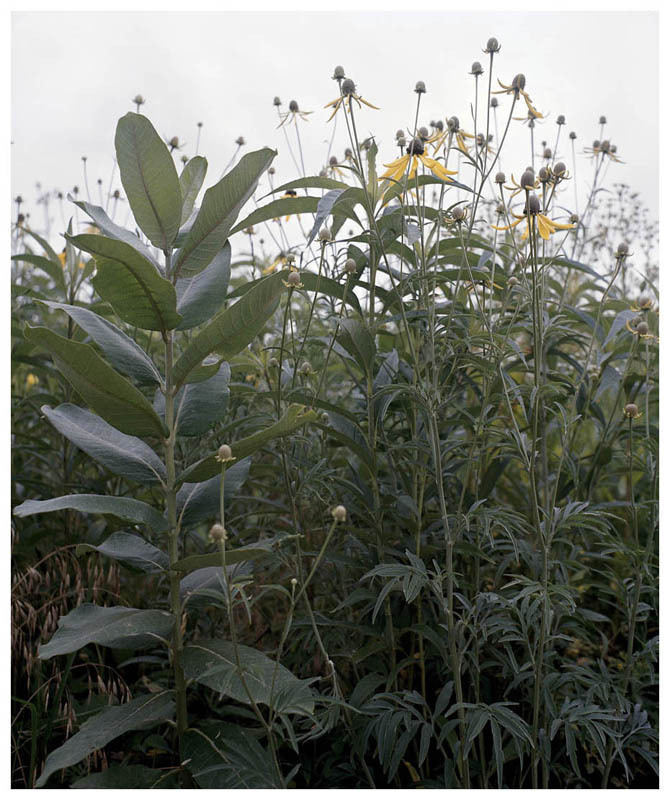 From 2001 to 2004, I worked on the Prairie series, a photographic study of prairie plants in different stages of their seasonal cycles, documenting the rich diversity of Illinois’s native plants. 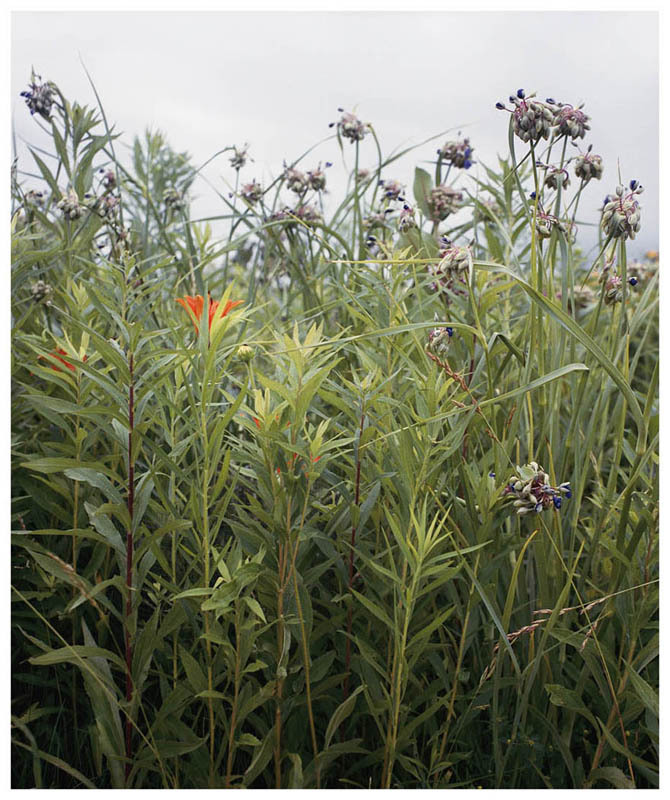 Described as North America’s characteristic landscape, a prairie landscape has been likened to the ocean in its immensity, multiplicity, endless variety, and contemplative moods. I wanted to make photographs of the prairie plants that are precise and accurate in the tradition of scientific illustrations and documentary photographs, but at the same time, create a parallel dream-like world of images suspended between the real and the imagined. Like the artists of botanical drawings from 17-19thcentury, my goal was to gather physical descriptions of the natural world that can lead to a sense of discovery and wonder. My goal is to develop a sustained relationship and a connection to the place I live by paying attention to and photographing particular things over and over again. The photographs represent an exercise in seeing, honing perception to the sensuous reality of constantly changing and dynamic natural world. My interest in landscape is not as a vista of the land seen from a distance, but rather a specific perception, made with a simple directness that brings out the magnificence of what is being seen.